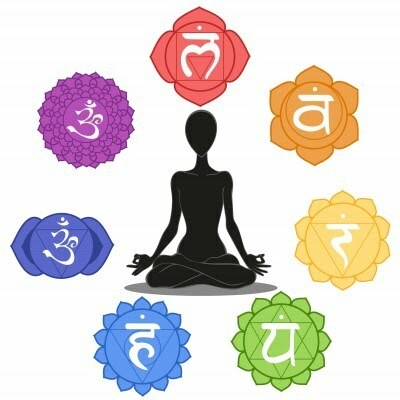 Each chakra is not only associated with our physical health but also controls aspects connected to our emotional, mental and belief system. Clearing and balancing them can help with many physical and emotional issues. The Chakras are swirling vortexes of energy regulate the energy flow throughout our bodies. These centers open and shut depending on what we are feeling and thinking. A chakra can be blocked, open, or too open. They are located at different points throughout the physical body and are associated with particular parts of the body. Every sense, feeling and experience is connected to a specific chakra. When you are stressed about something, the chakra itself can become unbalanced and this manifests itself as illness in your physical body. For your mind, emotions and physical body to be working together in total harmony, the chakras need to be spinning at the correct frequency. To become healthy again, or to maintain a healthy balance, these chakras need to be balanced from time to time.